A single stud earring. 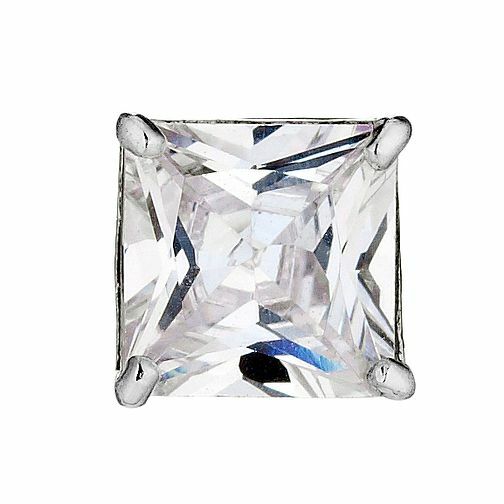 A square of glistening cubic zirconia on 9ct white gold. 9ct White Gold Cubic Zirconia Stud Earring is rated 4.9 out of 5 by 15. Rated 4 out of 5 by Anonymous from This product is amazing! Very good ear ring, been complemeted numerous times. Rated 5 out of 5 by Anonymous from Lovely Earring! I brought this for my brother for Christmas and he was very pleased with this.